Comcast Business Internet offers download speeds up to 1Gbps, which means less time waiting and more time being productive. 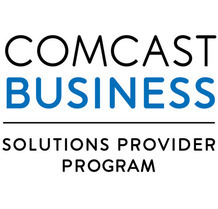 Plus, it’s backed with 24x7 Comcast Business support. An Internet service with new and innovative business solutions designed to help you work smarter and more efficiently. It’s no wonder that more-and-more businesses are equipping their employees with the speed and reliability of Comcast Business Internet.